Judicial Watch, a leading conservative non-profit watchdog group, announced the schedule of depositions in their case in a press release Thursday. 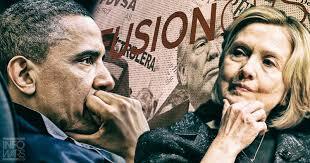 The Judicial Watch questions regard two separate cases regarding the Obama administration's actions during the Benghazi terrorist attack on the U.S. Consulate and CIA Annex in Libya, and Hillary Clinton's use of a private server to send classified government emails. "Judicial Watch is doing the heavy lifting on the ongoing Clinton email scandal, even as Congress dropped the ball and DOJ and State continued to obstruct our quest for the truth," said Judicial Watch President Tom Fitton, in a press release Thursday. "The Court in our case wants real answers on the Clinton email scandal which is why our request for basic discovery was granted." District Judge Royce C. Lamberth ordered senior officials — including Susan Rice, Ben Rhodes, Jacob Sullivan, and FBI official E.W. Priestap – to respond under oath and submit the answers in writing to the questions provided by Judicial Watch. The decision from Lamberth was made this past January.